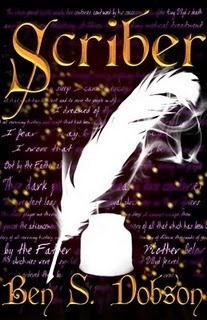 Anyone who enjoys realistic, complex low fantasy (think Rothfuss, Martin, Sanderson) will enjoy Scriber. An intriguing and well thought out (if a little bit standard) story line. Solid writing, plotting, structure, description, world building. Interesting characters. My only (slight) quibble is that Bryndine reminded me just a little bit too much of Brienne (Game of Thrones) in both name and temperament. Well written (and edited!). A solid, enjoyable read. Sign into Goodreads to see if any of your friends have read Scriber. 35.0% "Read this. Seriously. The best indie book I've read in the past 12 months. Struggling to put it down to make dinner."